Mozilla’s Firefox OS, the mobile operating system from the company that makes the Firefox browser build entirely on open web standards and having ability to beat Android or iOS. Firefox OS is Mozilla's ambitious attempt to build an operating system that brings more openness to the walled gardens of Apple's iOS and Google's Android. Mozilla has also added some extra hooks to Firefox OS that allow developers to access a phone’s hardware via HTML such as Battery info, Camera, Contacts, WebSMS, Storage, Vibration, Settings, Alarm, Browser, and many more. A large number of WebAPIs will be supported in the initial implementation of Firefox OS. A complete list can be found here. Firefox OS will not be directly battling against other mobile platforms. Firefox OS is a cutting-edge mobile operating system, designed to render the highest performance. Its main objective is to change the way the world develops mobile apps. While some other mobile vendors such as Blackberry also provide ways to develop apps for their systems using HTML5, but Mozilla is Mozilla!! Whereas in Apple's iOS and Google's Android platforms currently dominate the mobile space and rely heavily on developers to produce high-quality apps that increase and augment the functionality of their platforms. The first test devices (Keon and Peak model) (available for purchase) with Firefox OS was developed by a Spanish smartphone start-up Geeksphone and Telefonica, one of the largest telecommunications companies in the world. 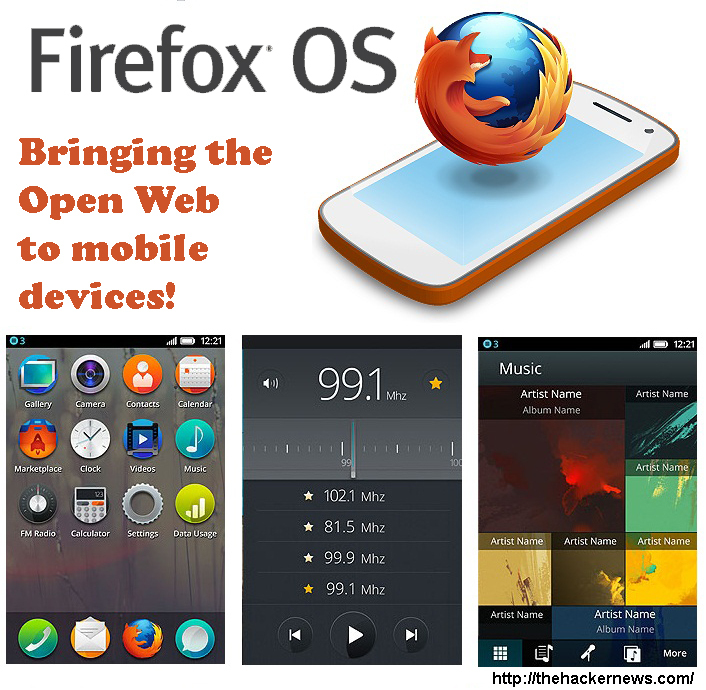 Enjoy Mobile freedom with Firefox OS!